Visitors to America’s smallest state will find a wealth of historical attractions that preserve its religious heritage. 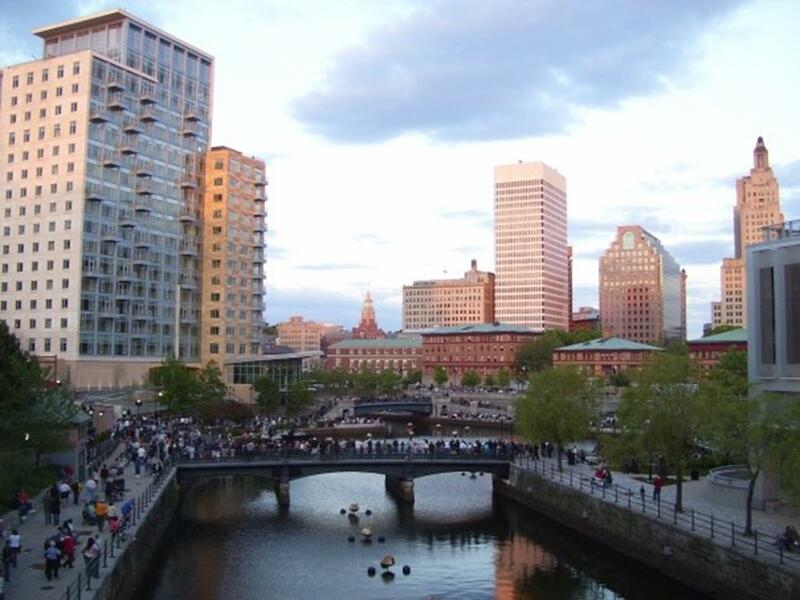 A good place to start is downtown Providence, the capital and largest city. 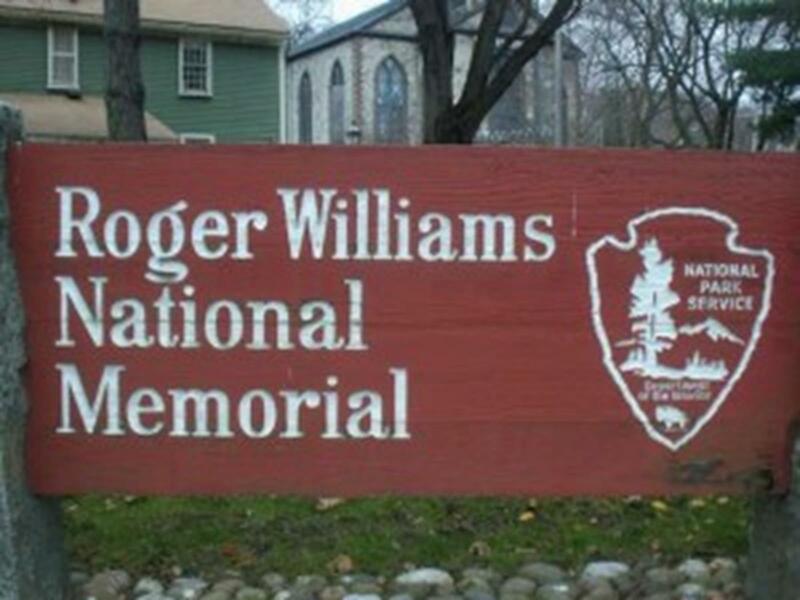 It was here that Roger Williams (1603-1683), the founder of Rhode Island, settled in 1636 on land that he bought from the Narragansett Indians, declaring it a settlement for the persecuted of all religions. He had been banished by the Puritans in Massachusetts for challenging established religion and government, the very reason he had left England for America. His colony also became a refuge for Quakers, Hugenots and Jews. The three-acre Roger Williams Memorial, a National Park Service site on the spring where Williams settled, is a 4.5-acre greenspace with interpretive panels along brick paths and a small visitor center featuring exhibits and a five-minute film. See the seven-foot-tall, painted papier-mache statue of Williams that stood outside a local bank from 1960-1983. Beans, corn and squash are grown in the Native American Garden next to the center. On Prospect Terrace, a few blocks up the hill, is a statue of Williams that marks where his remains and those of his wife were reinterred in 1939. Also nearby is the First Baptist Meeting House, better known as The First Baptist Church in America. A stately, cream-colored church built in 1775 for the Baptist congregation organized by Williams and others in 1638, it is affiliated with American Baptist Churches/USA. 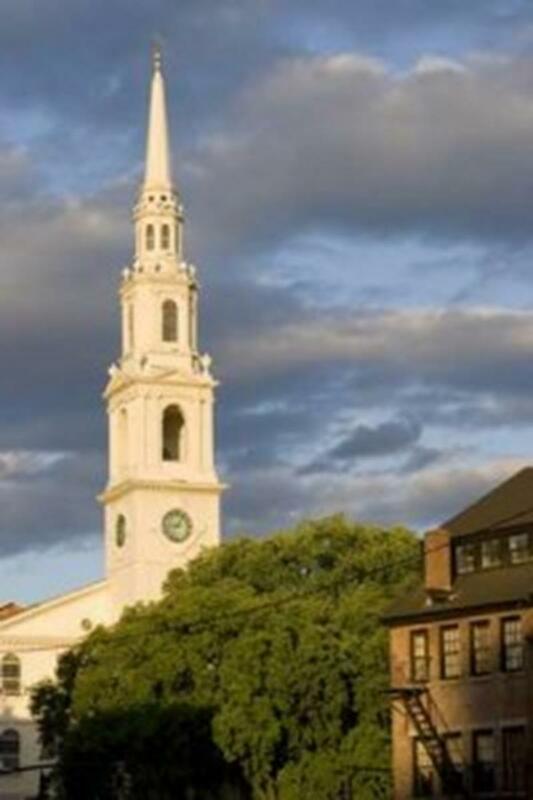 A blend of English Georgian architecture and the traditional New England meeting house style, this Providence landmark has a classic New England steeple topped by a weather vane and with a Roman-numeral clock on all four sides. The church’s interior, with a gray-green color scheme, is distinguished by box pews, balcony seating, Palladian windows with shutters, fluted columns and a central chandelier. Guided tours are given after the Sunday service, and the church is open for self-guided tours from Monday through Friday. The church, right across the river from Providence’s central business district, is part of the East Side skyline and backs up to Benefit Street, which boasts one of the largest concentrations of 18th and 19th century buildings in America, most of them private homes. A stroll on the brick and flagstone walks along this tree-shaded “Mile of History” reveals a variety of architectural styles. Not far away are the historic campus of Brown University and the Rhode Island School of Design (RISD). A must-see is RISD’s Museum of Art, which covers the gamut from Egyptian and Roman to French Impressionism and contemporary. Other Providence stops include the Rhode Island State Capitol, which features grand marble staircases in a rotunda under the world’s fourth largest unsupported dome. 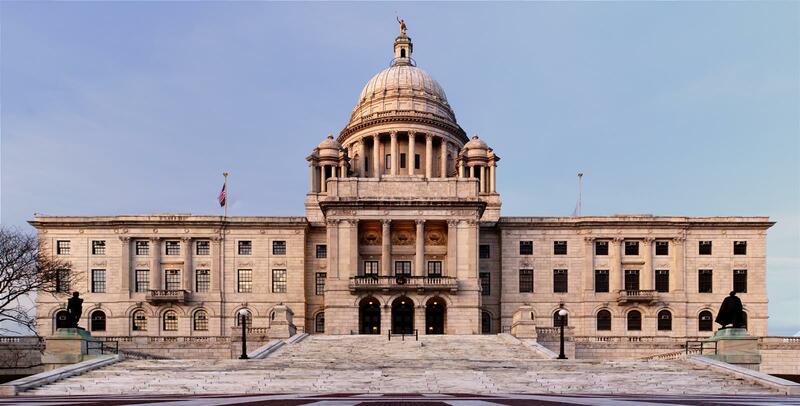 Don’t miss the State Reception Room with its plasterwork fireplaces, plush red chairs and drapes, crystal chandeliers under a celestial ceiling, and portraits of early patriots, including one of George Washington by Gilbert Stuart, a Rhode Islander. The one-of-a-kind Culinary Arts Museum at Johnson & Wales University focuses on the evolution of food preparation, the development of culinary equipment and technology, and places where people partake of food. Its American diner exhibit is centered around an actual 15-stool 1926 diner that operated in Providence until 1989. In Newport, less than an hour south of Providence, visitors will find a fascinating historic district filled with 18th and 19th century buildings, including some famous houses of worship. 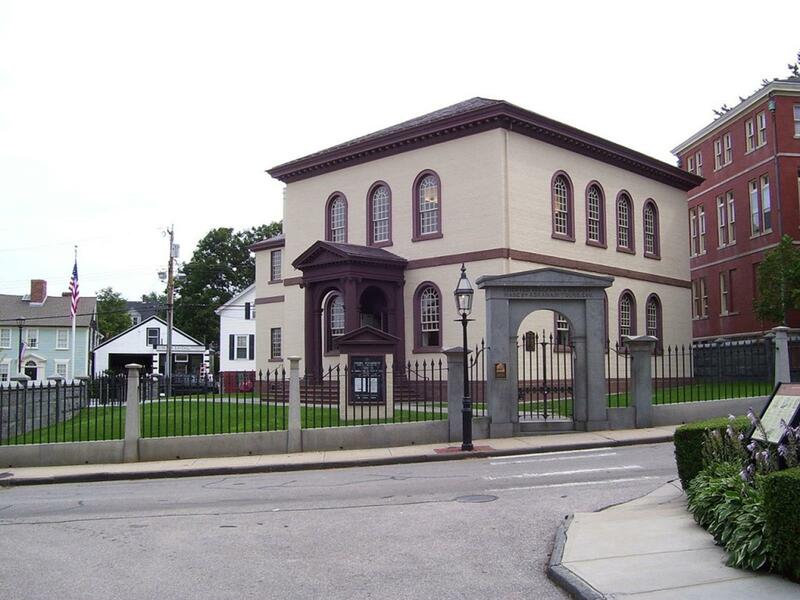 Touro Synagogue, the oldest synagogue in America, celebrates its 250th anniversary this year. One-hour tours combine a seated presentation in the synagogue, a Palladian Georgian masterpiece, with time in the Loeb Visitor Center to peruse interactive exhibits on Jewish life in early America. Washington wrote the letter while campaigning around the colonies to pass what became known as the Bill of Rights. He was paving the way for the First Amendment, which would be added to the Constitution on Dec. 15, 1791. 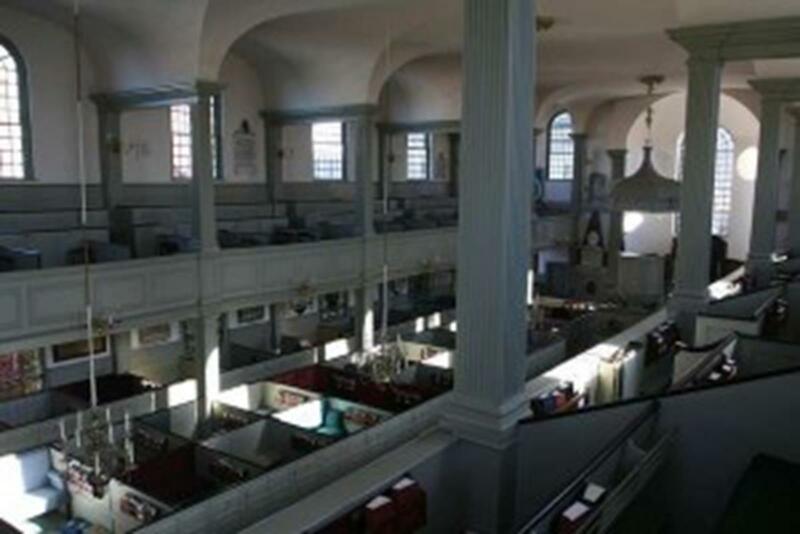 Also in Newport’s historic district are the 1726 Trinity Church, distinguished by its graceful spire; the Quakers’ Great Friends Meeting House, the oldest surviving house of worship in Newport, circa 1699; and 1730 Seventh Day Baptist Meeting House, whose restored interior includes an intricately carved stair and pulpit. The Episcopalian Trinity Church has a rare three-tiered, wine glass-shaped pulpit; box pews; Tiffany stained glass; and an original chandelier. On one pew are engraved silver plaques commemorating visitors of special significance who were seated there. The earliest was George Washington; others include Queen Elizabeth II, Prince Andrew, and Archbishop Desmond Tutu and his wife Leah. 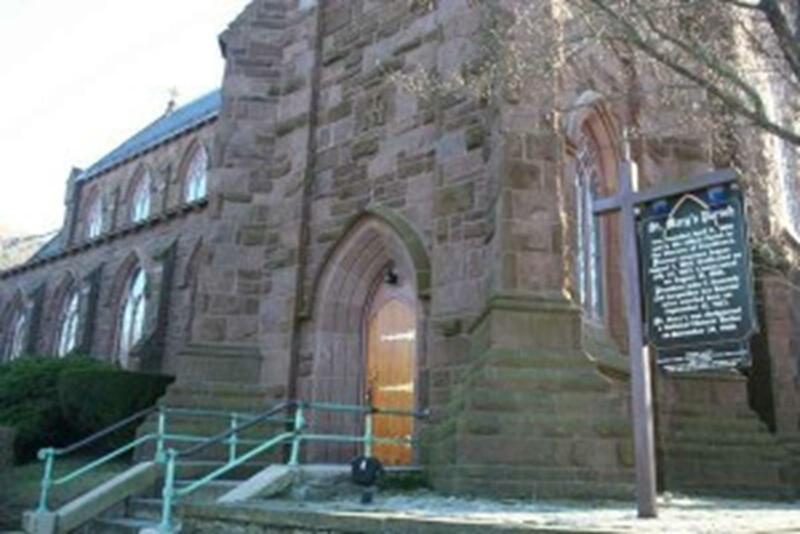 At the Gothic-influenced St. Mary’s Catholic Church, Sen. John F. Kennedy and Jacqueline Bouvier were married in 1953. The glamorous First Lady grew up at her family’s Hammersmith Farm, an exclusive Newport estate where their wedding reception was held. JFK and Jackie vacationed there, using it as a “Summer White House.” The home, no longer in the family, is pointed out on tours. In souvenir stores you’ll find a postcard showing the Kennedys walking out of St. Mary’s during JFK’s presidency. Newport’s best-known attractions are the lavish Gilded Age mansions on and around Bellevue Avenue. Fashioned after Old World palazzos and chateaux, these were the showplaces of America’s early captains of capitalism, members of an instant aristocracy based on recently acquired fortunes. Flaunting their wealth, the ultra-rich furnished their summer homes with exquisite artwork and objects from abroad. The interiors, some built in Europe and reassembled in Newport, are jaw-dropping. Most famous are Cornelius Vanderbilt II’s The Breakers and William K. Vanderbilt’s Marble House. For more information, contact the Providence-Warwick Convention & Visitors Bureau, goprovidence.com; and Discover Newport, gonewport.com.